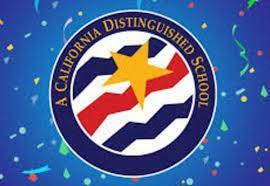 Bolsa Grande Wins California Distinguished School Award! In 2018, BGHS was the third-highest high school feeder to Ca State University, Fullerton. With the increasing competitiveness of the admissions process for four-year universities as well as then need for many of our students and families for college financial assistance, our team is continuing to reflect on ways to provide even more support in finding monetary resources (e.g. FAFSA, Dream Act, grants, scholarships). According to the 2018 senior exit survey, 70% of our students were awarded financial aid. Additionally, based upon the most recent National Clearinghouse Data, it was reported that students from BGHS who enrolled directly into college remained in college two years later for a persistence rate of 90%. According to our Class of 2018 senior exit survey, students reported, “My high school exposed me to college-level material. My high school also guided me through the application and financial aid process, giving me the support I needed so I don’t fall through the cracks.” Another student stated, “My high school has prepared me for success by surrounding me with individuals that strive to learn. Throughout my high school career, I have met a multitude of many different individuals that are all striving for success, which pushes me to be more successful. I have also met a large variety of teachers, some of which have pushed me to heights that I did not even imagine were possible for somebody as average as I am.” Based upon the anecdotal feedback we have received over the years, it is apparent a college-going culture continues to permeate the hallways of BGHS.